From the back cover: Al Hendrickson on guitar, Nick Fatool on drums and the bass of Jud DeNaut comprise the original (Artie) Shaw group. Add the tremendous talents of Ray Sherman on harpsichord, Shorty Sherock on trumpet and a gentleman of music you may not know yet, but one who'll be 'large' with you after this introduction – Eddie Rosa on clarinet – and the result is GREAT SWINGIN' SOUNDS! 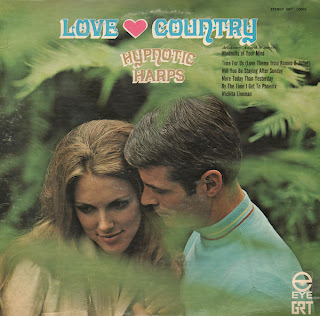 What stood out to me on this album was the early use of the harpsichord to give the sound a light pop vibe. 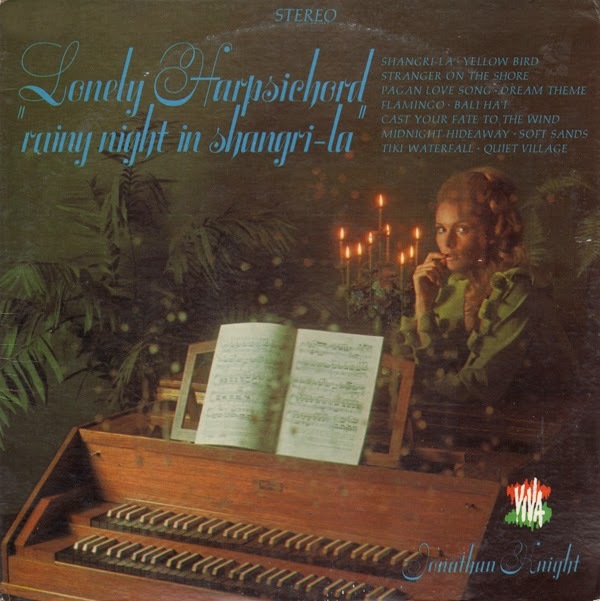 I have to wonder where the 60s "harpsichord trend" originated from? 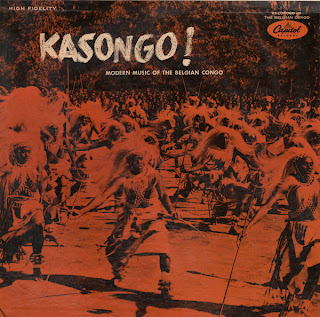 From the back cover: Popular music of the Belgian Congo no longer is restricted to the monotony of thumping conga drums. The contemporary trend is to more and more "civilized" instruments, including the string bass, guitars, the violin – and these recent innovations are now combined with ages-old, traditional and simple instruments such as the likembe to give the modern "sound" an odd combination of old and new. I bought this one because I collect what I call "bad habits" covers (smoking and drinking). I didn't expect much from the music, but this is a great album. The songs tie into and seem to support one another like a soundtrack or a concept album. There is a high level of sophistication to the arrangements. From the back cover: All too often an album is little more than a collection of songs, banded together with no rhyme or reason, and all seemingly pulled from the same ball of yarn. 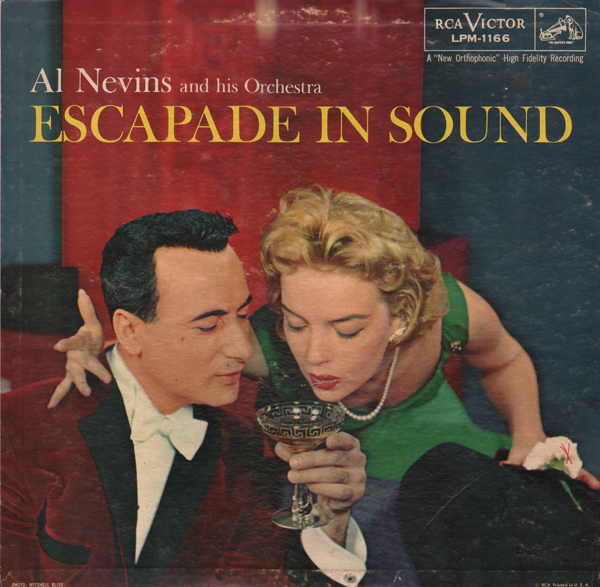 When Al Nevins – he started out in Washington in classical music and has hence learned to play every instrument well – put aside his guitar and his famous role as one of the original members of The Three Suns to turn producer and musical director for this stunning album, he thought immediately in terms of an over-all production. Escape in Sound was to be no rambling trip down the cobblestones of Tin Pan Alley. This initial big enterprise was to have a theme – it was to tell a story in music. West Meets East - Dig? I listen to a ton of records. Many are great fun, but every now and then one stands out. This is one of those perky space age efforts that I think you'll enjoy as much as you might enjoy Neal Hefti's Hefti In Gotham City. This album has that type of space age sparkle. It also sounds as if this album may have been sampled for Science Fiction Dance Party or Dracula's Music Cabinet. These are two "modern" day assemblages of space age material that I find great fun. At least this record reminds me of those two CD imports. And of course... the cover is amazing. The woman is feeding the man a grape... however she is holding a hot dog in her hand. Apparently our West/East couple is interfacing with strange foods. 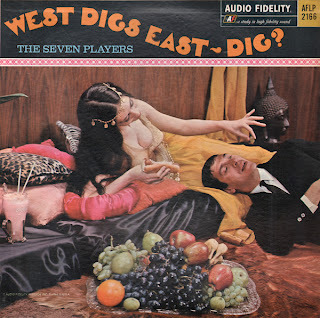 Dig? 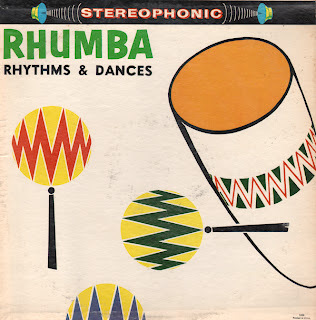 One treat for me in life is to find 60s or 70s light pop albums because you never know to what lengths artists and record companies will go to cover "the hits of the day". In this case, the last idea on the pile must have been to do up songs on the harp. OK... the last idea may have been to use a kazoo. Which reminds me... I think that has also been done, but I have yet to find that album. The harpist struggles with some of the arrangements because... well... she is playing the harp. Terrific extra fluffy light pop stuff really. 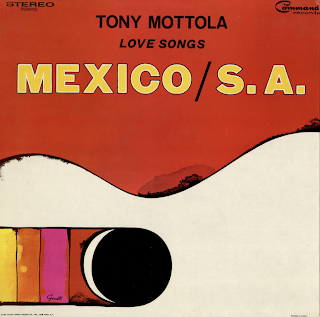 Love Songs Mexico / S.A. 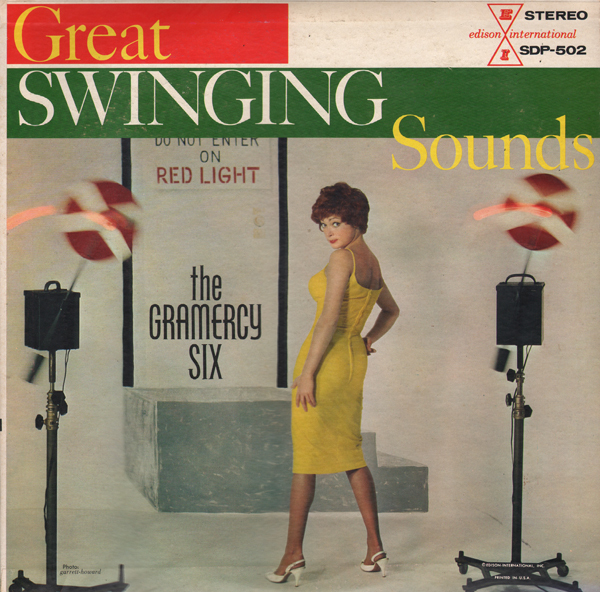 This album features a number of lush understated guitar pieces, a few light pop tracks (like the sample above) and several brassy traditional sounding tunes that seem as though they were included as filler. From Billboard - November 13, 1965: Command Records will attempt to cash in on the selection of Tony Mottola's "Love Songs Mexico / S. A." 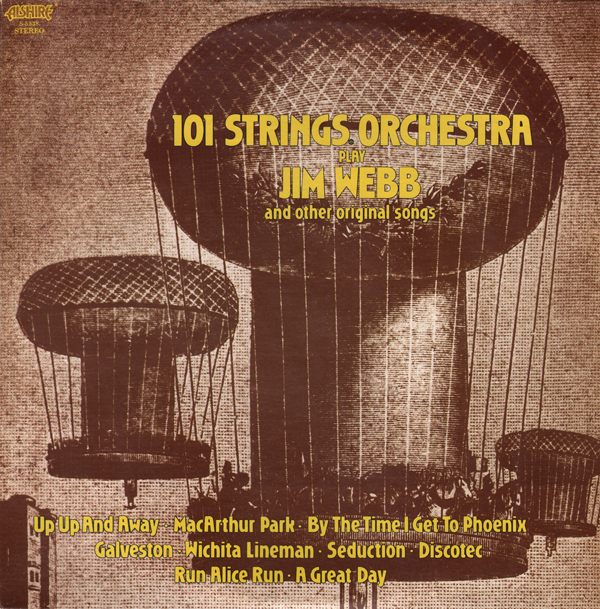 album as the feature album of the week on the Jim Ameche Organization's syndicated radio show for the week of Nov. 29. The show reportedly reaches some 300 million listeners throughout the world. Command has ordered several thousand extra streamers, dividers and easel backs to promote the album, and the label has rushed a single from the album to disk jockeys for air play. 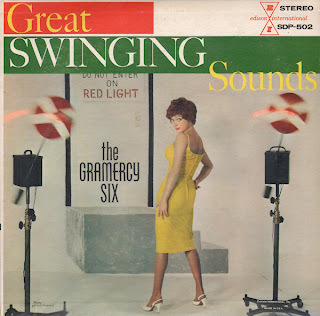 Loren Becker, Command general manager said the Mottola album will probably be the label's best seller of 1965. It took me a moment to connect this dull and uninviting cover graphic to the first track, Up Up And Away (in my beautiful balloon). What was Alshire thinking? Anywhoo... there is no Victorian ballroom music on the LP. Surprisingly, the vinyl features some decent light pop fare. Here's an oddball set featuring covers of a number of your "exotica" favorites complete with bird calls and sound effects that play through the entire record somewhat like a Mystic Moods album. The results is a budget lounge set that is just crazy enough to hold your interest. Budget collection of tracks that Palace cobbled together. The sample tune is surprisingly nice.